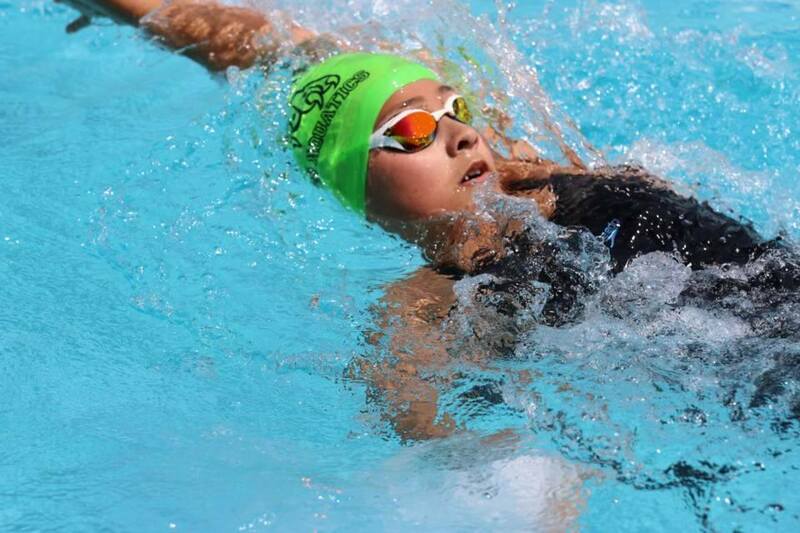 Sizzling Swims in 3rd Lincoln Swimming Championships! The Snow Leopards lit up the pool with some sizzling swims in the 3rd Lincoln Invitational Swimming Championships last weekend. A total of 22 schools, including the American Embassy School from New Delhi, competed in the meet. Lincoln School contributed over 50 swimmers in grades 2 through 12 to the over 200 participants who joined us on a sunny Saturday at a buzzing Lincoln School campus. 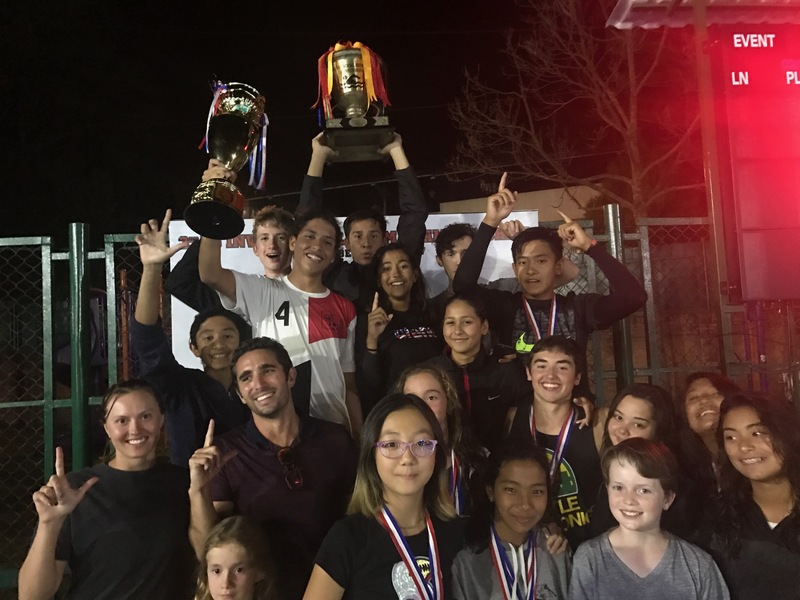 The Snow Leopards warmed up for the main event with a mini-dual meet with AES the evening before and soon showcased their superior skills and fitness in the water, making finals, winning golds and sweeping podiums. 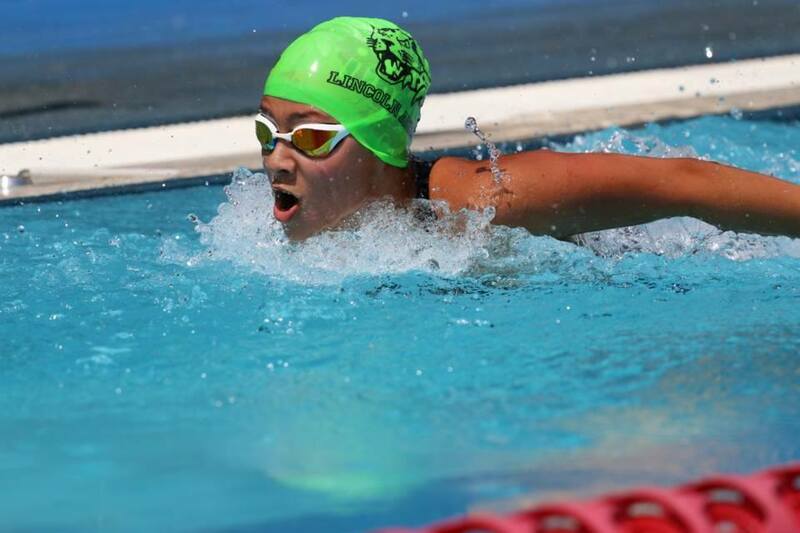 Our 13-14 year-olds got us underway in the 200 meter freestyle events, with both Alex and Tisa winning golds and breaking school records along the way. Alex clocked a 2.11 for the 200 free, while Tisa swam a personal best time of 2.21. 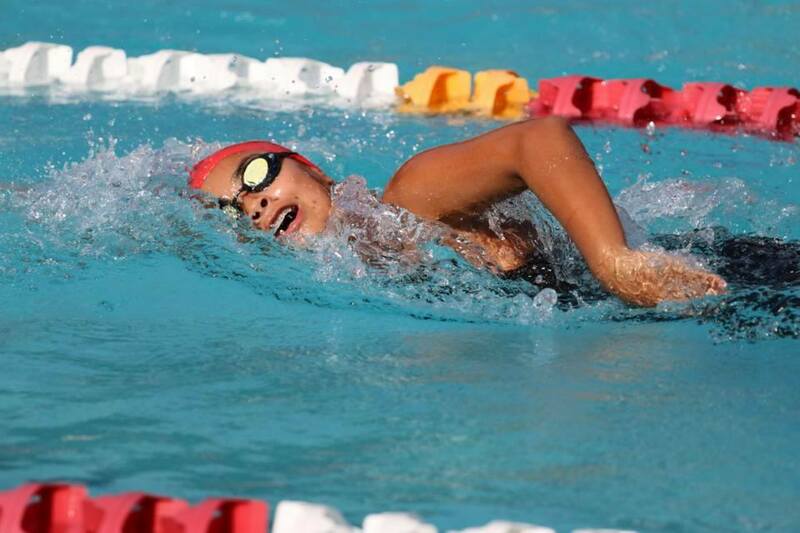 In the sprint events, Isabella M touched out Duana L in the 50 free with a time of 31.8 – another school record – while Alex swam a 26 in the 13-14 boys category. School records continued to tumble with Alex and Ayushma swimming a 30 and 33 in the 50 fly respectively. In fact, Alex and Tisa broke 11 school records between them at this meet! In the 15-18 categories, the awesome team of Niharika, Oshina, Akshara and Elisa for the girls dominated each event, finishing in the top 4 places in each final. 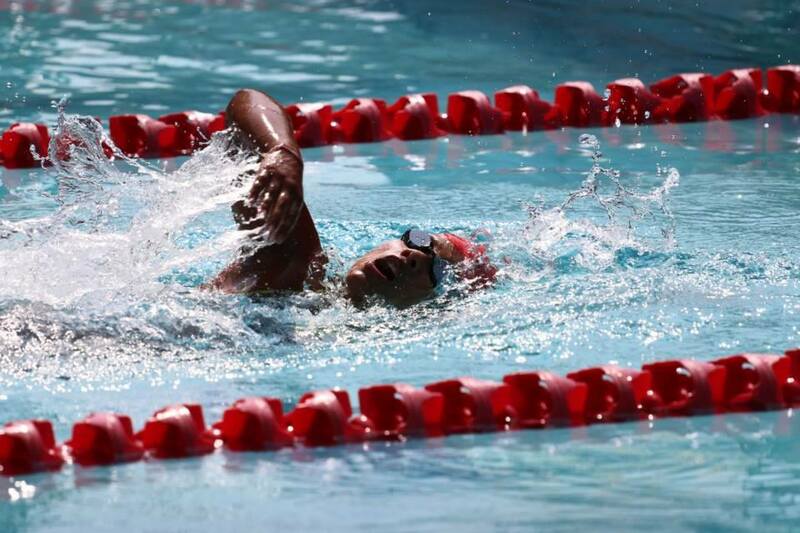 Similarly, Jarrah, Ugyen, and Dane continued to rack up medal after medal, with only national swimmer, Anubhav, in their way, and they combined with Alex and Atreya to break the 200 free relay record. Our younger swimmers continued to improve their times, and the coaches are excited about the potential in the team in the years to come. 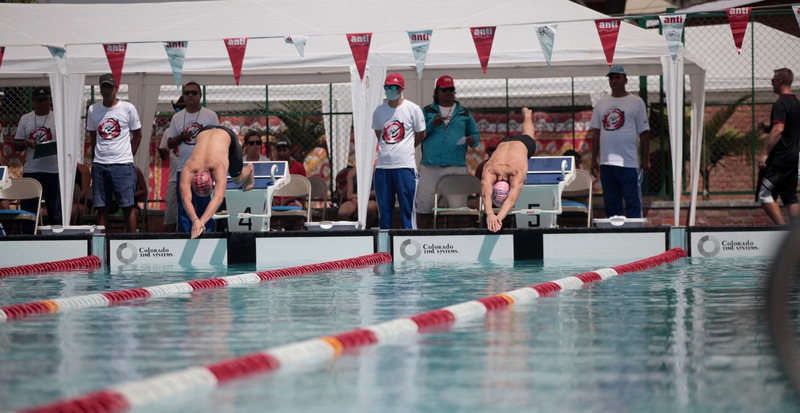 Although a thunderstorm disrupted events on the Sunday afternoon, all the swimmers returned on the Wednesday evening, after the NSA swim meet, to finish off the last few finals. As the evening wore on, there were no stars in the sky because they were all down in the pool that night. Lincoln won the overall championships with a whopping 449 points. 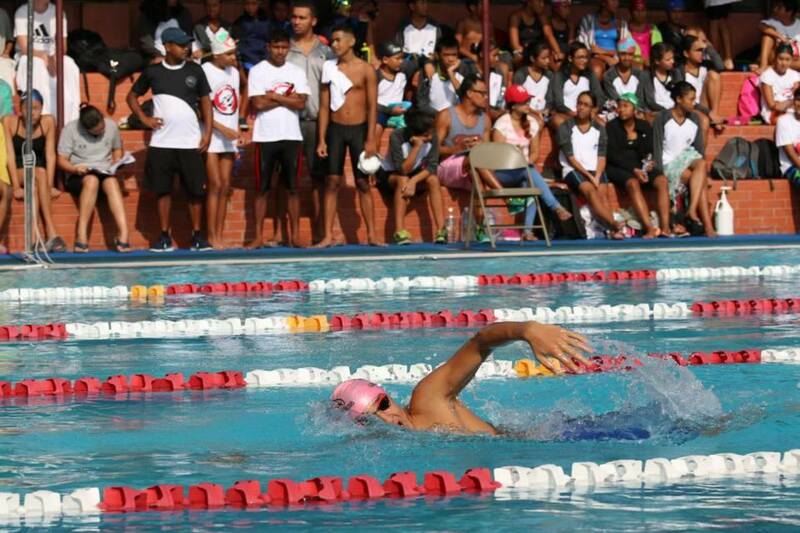 Nisarga Batika, stationed just down the road and possessing some talented young swimmers, finished in 2nd with 147 points, while AES-New Delhi finished with 107 points for their efforts. Congratulations to all our swimmers and thank you to the LSPA and Lincoln community for helping put on such a great show! Girls’ Volleyball Team Finish Joint 1st at LS Invitational! The Lincoln Invitational Volleyball Tournament, held last weekend, was an extraordinary one for the girls’ volleyball team. The games started early for the girls’ team, as they played a friendly on Friday afternoon with the visiting American Embassy School (AES), New Delhi. The following day, the girls were quick at getting ahead with a straight set win against The British School. Without much time to rest, they played their next game. The girls had to redeem themselves against AES due to their loss the day before. The game was heading in the right direction, with the first set favoring Lincoln. Although narrowly missing out on gaining the second set, the girls kept their heads high. The gym was alive with support from the Lincoln community, and this helped them to power through and steal the final set. Very happy with their result, the girls had lunch and a few hours to kill before their final game. Leaving the hardest game for last, the girls were tired when 4:15 rolled around. The first set was unfortunately lost, but that warmed them up for a second set win. The team was ready to push through for the final set, however, they lost a number of points early on in the set and thus they lost momentum. Astonishingly, two other team finishes the tournament with the same number of sets won and lost. This placed the girls in a three-way tie with AES and Jawalakhel Volleyball Club. Although the Lincoln girls’ volleyball team were not the sole winners of this tournament, they left happy with the performance they gave. Swimmers were invited to the stage during the elementary school’s Fabulous Friday Assembly to share some of their experiences from the swim meet last weekend and the Lincoln School’s Core Values they experienced. One swimmer talked about the compassion swimmers showed each other when they had hard races and the responsibility needed to get to their races on time. 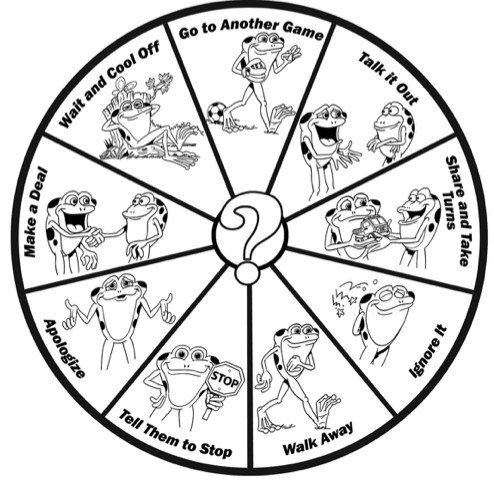 Lower elementary students learn how to solve their own small problems with Kelso’s Choices, a program that gives students nine problem-solving strategies such as Talk it Out, Walk Away, and Make a Deal. Today during Grade 2’s classroom counseling time students played games to help remember all nine choices. 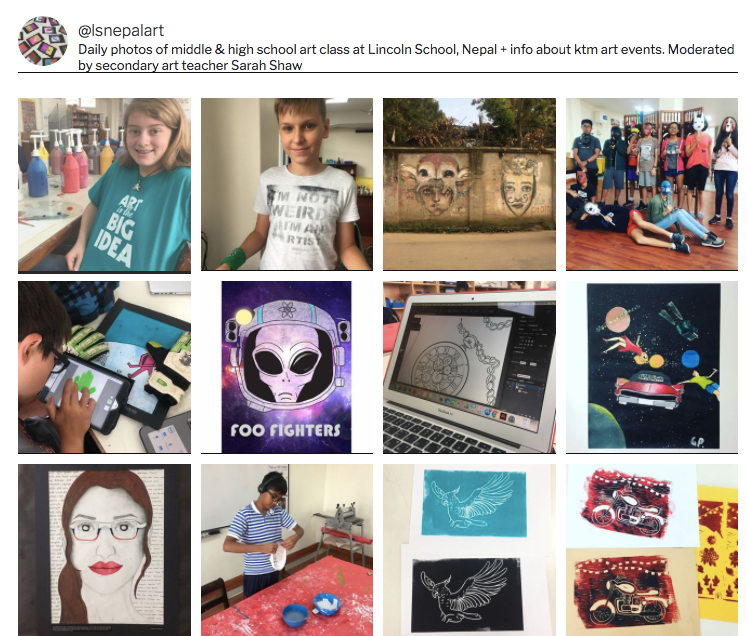 Lincoln Wins 7th NSA Cup! 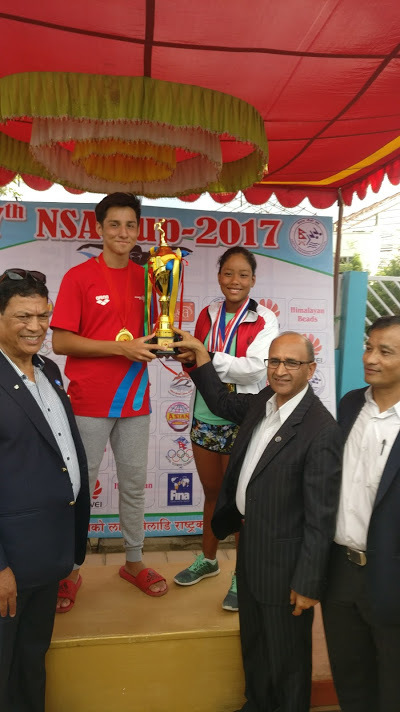 Our Lincoln Swimmers were dominant in the 7th Nepal Swimming Association Cup on September 18 & 19 at the Satdobato Swimming Complex, winning the overall championships and setting a number of school and national records along the way. On day one, Ugyen finished 3rd in the 200 IM, while Tisa won the 200 free. In the 50 fly events, Atreya struck silver, while Tisa again one gold in the 13-14 category. In the 15-17 boys and girls categories, Ugyen won the 50 fly, breaking the school record with a time of 29.85, with Dane finishing 3rd. 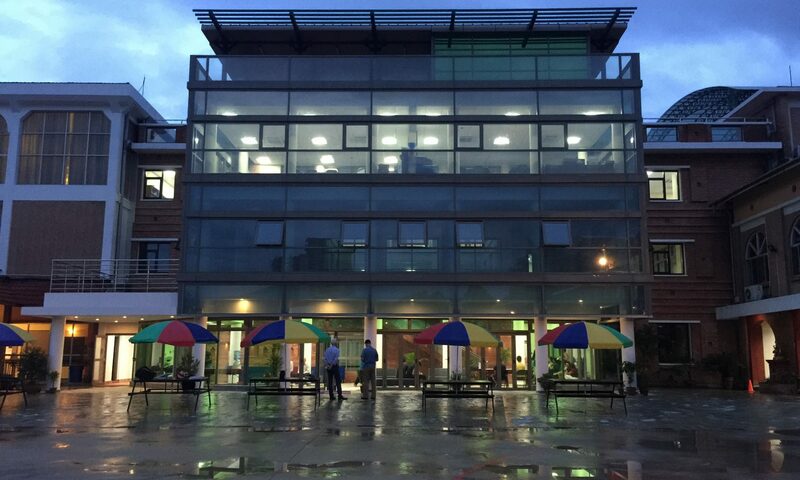 As for the girls, Ayushma, Oshina and Akshara swept the podium in a Lincoln 1, 2, 3. Tisa also broke her own national record in the 100 meter breaststroke, winning with a time of 1:25.82. Likewise, Alex broke his 2nd national record, setting the new 100 meter backstroke mark at 1:10.93. Oshina and Ayushma finished 1-2 in the open women’s 100 Backstroke, while Tisa claimed yet more golds in the open 50 Breaststroke and 100 Free. Ayushma and Oshina again finished 1-2 in the open women’s 50 fly. Lincoln were also triumphant in the mixed 200 free relay, breaking the school record with a time of 2:04.87 seconds. At the awards ceremony, Alex and Tisa were honored with awards for breaking two national records each, while Tisa was selected as the Most Valuable Swimmer of the championships with a total of 12 golds and 1 silver medal! 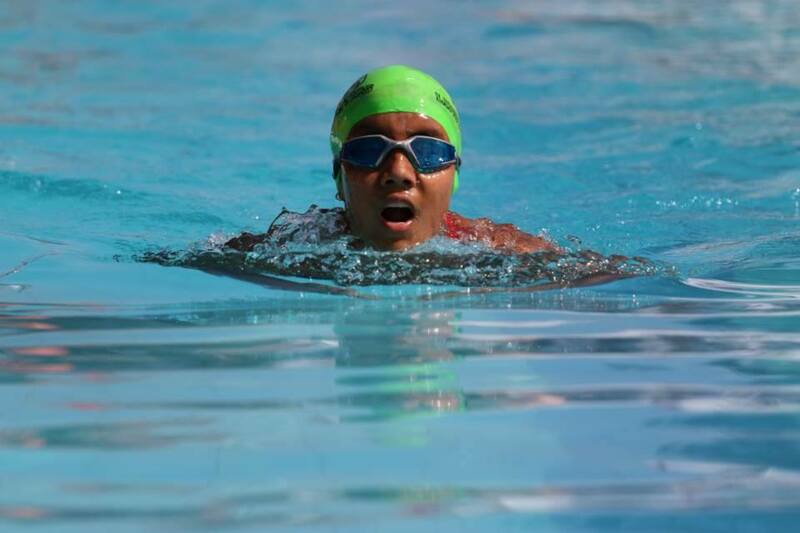 Niharika was also selected to represent Nepal in the Asian Indoor Games. Congratulations to all our swimmers! 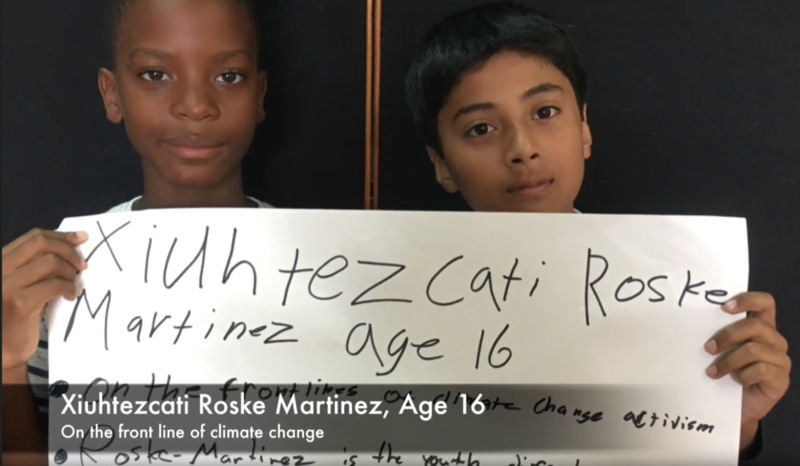 Growth Mindset is the belief that a person’s most basic abilities can be developed through dedication and hard work. Grade 5 students created growth mindset statements on post-it notes and stuck them in places to help them remember things like: mistakes help us grow, we can keep trying when tasks are hard, and we can continue to improve. 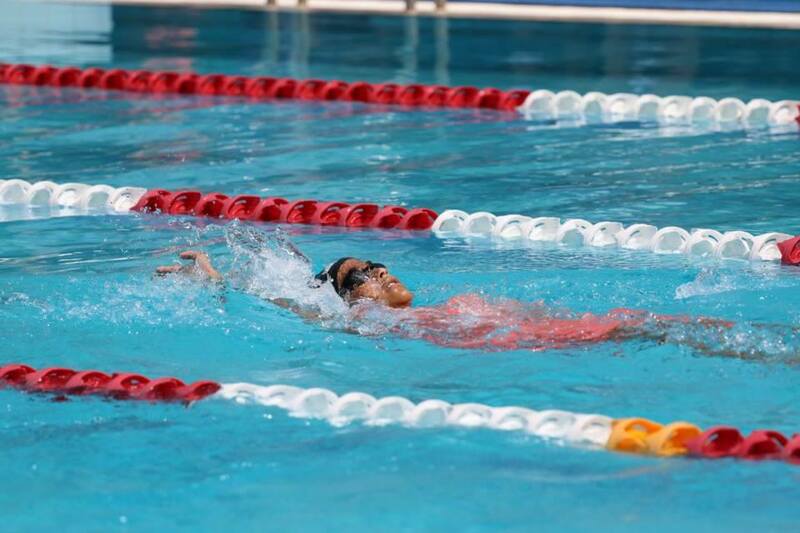 We had an exciting week in swimming as many students practiced for the Lincoln Swim Invitational. 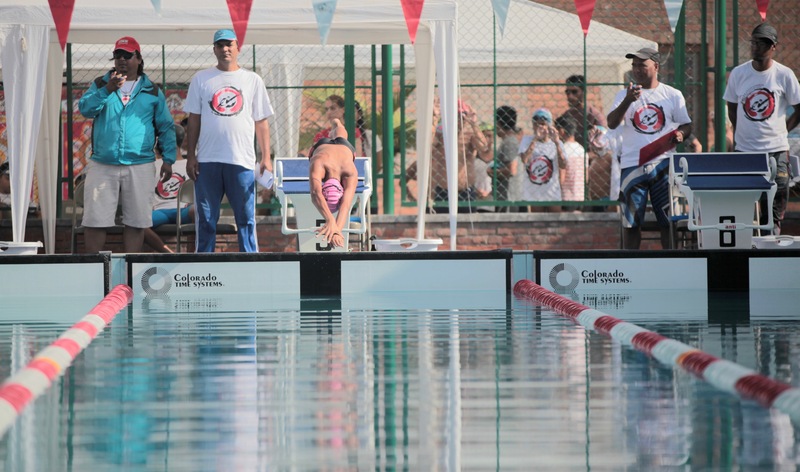 One of the more challenging aspects of competitive swimming is starting off the blocks, so we gave students the opportunity to practice these skills. Grade 5 students launch into the water as they work on their starts off the blocks. Grade 4 students practice starting and maintaining a streamline position for the backstroke.